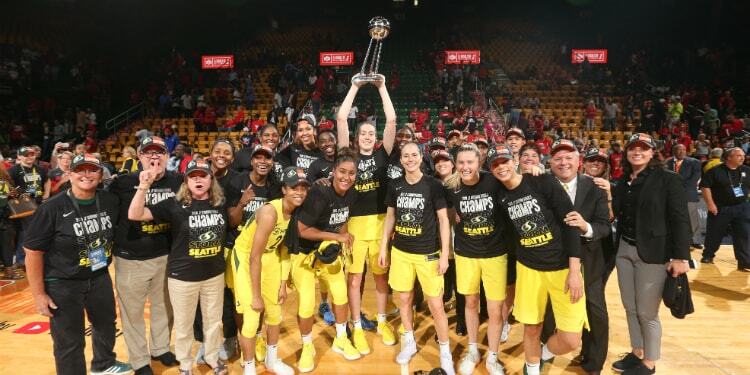 The Seattle Storm are the 2018 WNBA Champions! 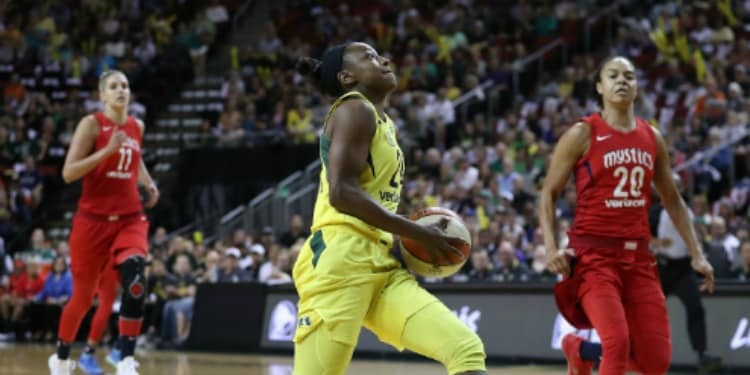 With the Washington Mystics hosting their first ever WNBA Finals game, Seattle took the lead early in Game 3 and remained in control throughout. Breanna Stewart was named MVP of the Finals after averaging 25.7 PPG and 6.0 RPG over the three games. Natasha Howard had the best game of her career as she put up a playoff and career-high 29 points and 14 rebounds. Elena Delle Donne kept the Mystics within striking distance for most of the game with a team-high 23 points, but it was the Storm who emerged victorious, capturing the franchise’s third WNBA title. The Mystics put up a much tougher fight in Game 2, but regular season MVP Breanna Stewart carried Seattle to a 75-73 win. She scored a game-high 25 points and came up with some clutch steals down the stretch to lead the Storm. Unlike Game 1, Game 2 was back-and-forth the entire way. After falling behind by nine, the Mystics fought back and took a four-point lead into half. Elena Delle Donne (17 PTS), Kristi Toliver (15 PTS) and Ariel Atkins (15 PTS) led the way for Washington, keeping the game close throughout. The Mystics defense was much better in Game 2 as they held the Storm to 42% from the floor. The Storm controlled Game 1 from tip-off to final buzzer. Seattle got off to an 11-point lead after the first quarter behind Sue Bird’s tempo and Natasha Howard’s 10 Points. From then on, Jewell Loyd and Breanna Stewart took the Storm to the finish line. They combined for 45 points on 62% from the field. Ariel Atkins was the lone bright spot for the Mystics as the rookie dropped 23 in her first career #WNBAFinals game. She became the highest scoring rookie in WNBA postseason history (110 combined points) passing Maya Moore. Two of the top players in the league will be going head-to-head in this thrilling WNBA Finals matchup. 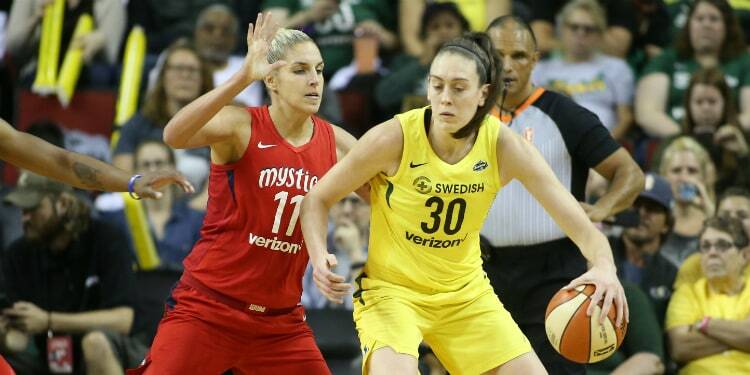 2015 MVP Elena Delle Donne vs 2018 MVP Breanna Stewart who rank 3rd and 5th respectively in scoring this postseason, will lead their teams into battle for the title. 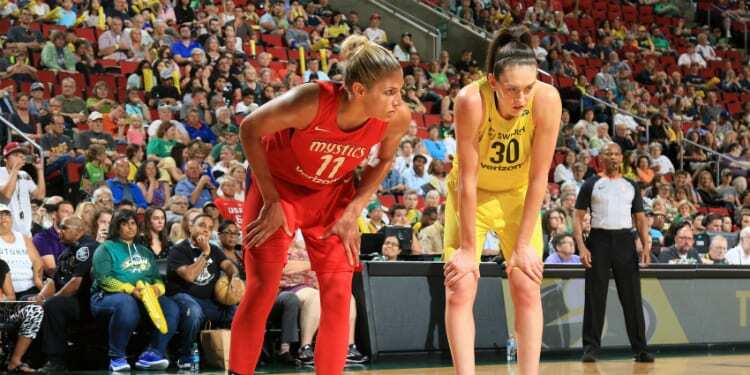 In three head-to-head games during the regular season the Seattle Storm had a 2-1 advantage. The Storm are back in the finals for the first time since 2010 where they crowned champions behind Finals MVP Lauren Jackson’s outstanding series. The Mystics are in the Finals for the first time ever and will look to leave their mark. 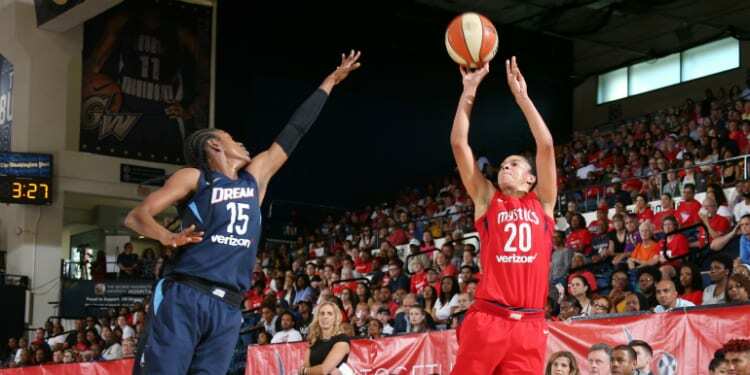 The Washington Mystics controlled the game wire-to-wire, beating the Sparks, 96-64. Elena Delle Donne was one of six players in double figures, leading the team with 19 points and 12 rebounds. 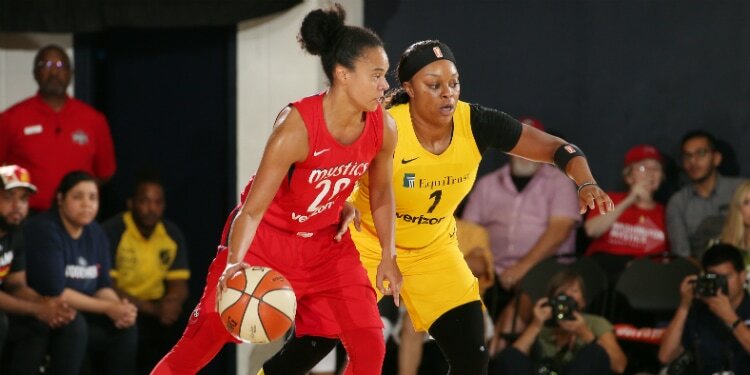 The Sparks were led by Candace Parker’s 16 points and 8 rebounds, but was not enough to overcome the Mystics’ balanced attack. Washington moves on to the Best-Of-5 Semifinals against the Atlanta Dream. The Mercury rallied late behind their All-Star trio to beat the Sun, 96-86. 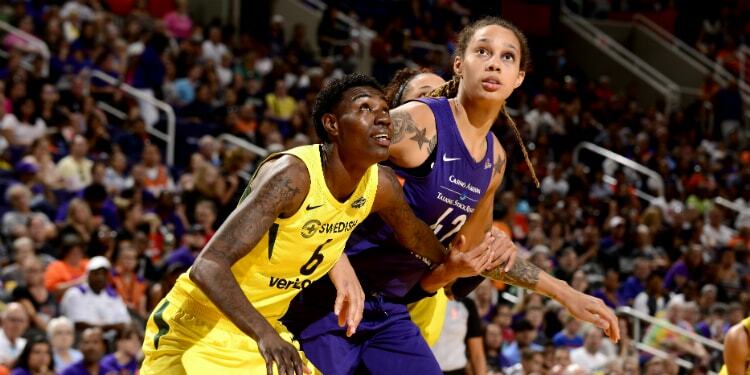 Brittney Griner (27 Pts), Diana Taurasi (27 Pts) and DeWanna Bonner’s (23 Pts) combined 77 points set the record for most points by a trio in a Playoff game. The Sun kept the game close behind Courtney Williams’s 27 points but could not get enough stops down the stretch. The Mercury advance to play the #1 seed Seattle Storm. 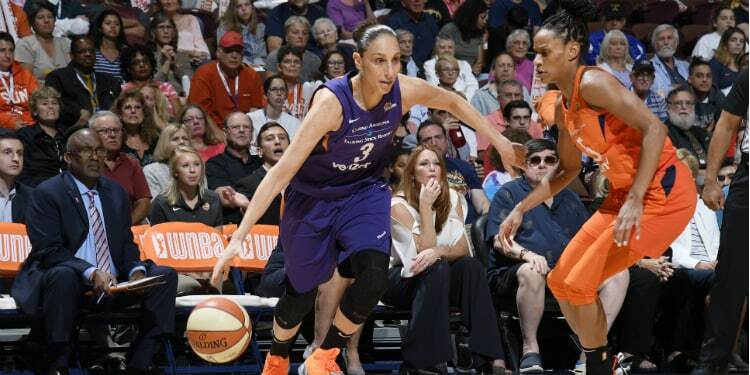 The Phoenix Mercury rode huge performances from their “Big 3” to beat the Dallas Wings in the First Round Single-Elimination Game. 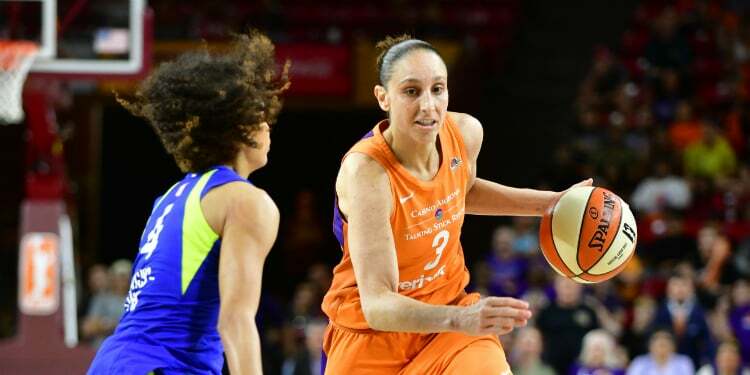 Diana Taurasi led the way with 26 points and 12 assists while DeWanna Bonner (29 points, 11 rebounds) and Brittney Griner (17 points, 5 rebounds) also had valuable contributions. The Dallas Wings were led by Skylar Diggins-Smith as she tallied 23 points and seven assists. The Mercury advanced to the Second-Round single elimination game against the Sun in Connecticut. Chelsea Gray turned in a strong performance as she put the Sparks on her back in a 75-68 win over the Lynx. Gray scored 26 of the Sparks’ 75 points including a few clutch baskets down the stretch. Nneka Ogwumike and Riquna Williams scored 19 and 17 respectively to support Gray’s effort. The Lynx kept it close with a surprise 15-point outburst from Temi Fagbenle, but could not generate enough stops down the stretch. 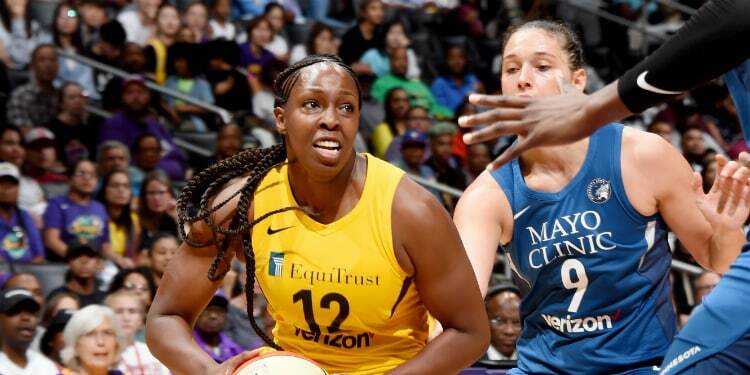 The Sparks traveled to Washington to face the Mystics in the second round.